Choose UK Elite Residential Camps ? What Defines a UK Elite Camp? Teams: There is no better way than to combine pre-season training with a team building experience that will last a lifetime. We will work with your coach or on our own to develop the best training program whilst at camp. 50% of our players at U.K. Elite residential camps register as an individuals or in small groups. Training groups for these players are single gender and coordinated by ability. 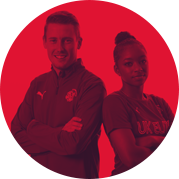 Unique Experience: A member of our U.K. Elite Staff will meet and liaise with the coach prior to your week at camp. From there, our coaches will discuss, create and then implement a team specific curriculum for each High School team. All HS camps will conclude with a written team/player evaluation for coaches and will include a fitness preparation leading into pre-season. 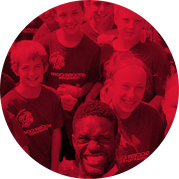 Unique Experience: Players begin each day with footwork and agility training followed by an intense technical session just for the goalkeeping group. After lunch, players will return to the field for a tactical session and small sided games with their age appropriate group. Each evening gives our GK instructors the opportunity to observe players in game situations and provide constructive, on-field feedback. Unique Experience: Day campers will have a designated member of staff to meet and sign them out each day. This is often an option for our younger campers or those campers who prefer their own bed. This program has access to all that our residential training course has to offer, without sleeping onsite. Q: What is a typical player to coach ratio? A: 10:1 for ages 8-13yrs. Players traveling to camp with their High School teams will sometime have a higher ratio 15:1 within their coaching group, but our staff ratio at camp will ALWAYS be 10:1. Q: How are players grouped at camp? A: Players are grouped initially by age. Once our staff has had the opportunity to evaluate the players, we may move players around to guarantee each player is challenged. Any team attending will play and train together. Q: Will players have a dedicated coach the whole week? (on and off the field). Q: How much soccer training do they receive? A: 13 on-field sessions OR roughly 20 hours (see our daily/weekly schedule for a breakdown). We pride ourselves on being able to find a healthy balance for each player. Q: What will my child receive at camp? A: Each player will receive two U.K. Elite/Puma training shirts, a licensed UKE soccer coach, a player evaluation, accommodation and three meals a day (serving a wide variety of dietary needs). Q: Are there other things to do at camp aside from soccer? 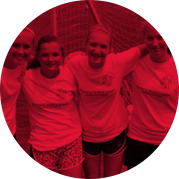 A: Each of our residential programs offers some “break” from soccer. Each facility is unique in what it offers, but most include basketball, swimming, team building, outdoor competitions, quiz nights, talent shows, etc. Q: What kind of support staff will my child have access to? A: In addition to a qualified coach, all camps have additional counselors in the dorms/cabins to ensure they have 24-hour support and supervision. While at camp there is also a director in charge of their age group and medical staff members available to campers and parents 24 hours a day. Q: What if my son/daughter is sick or injured? A: All camps have 24-hour medical staff on site to ensure player’s needs are taken care of. Each medical staff member is certified within the state mandates and do an impeccable job of keeping parents informed of any issues regarding injury or sickness throughout your child’s stay. Q: Are your camps licensed? A: State mandates regarding camps vary from state to state. All UK Elite camps are licensed by the local Board of Health, in accordance with each individual state’s mandates. Information on what those licensing mandates are, staff background checks and more is available from the regional coordinators listed below.